© Provided by Fox News Glenn Jacobs, known as WWE's Kane, campaigns ahead of a primary election. 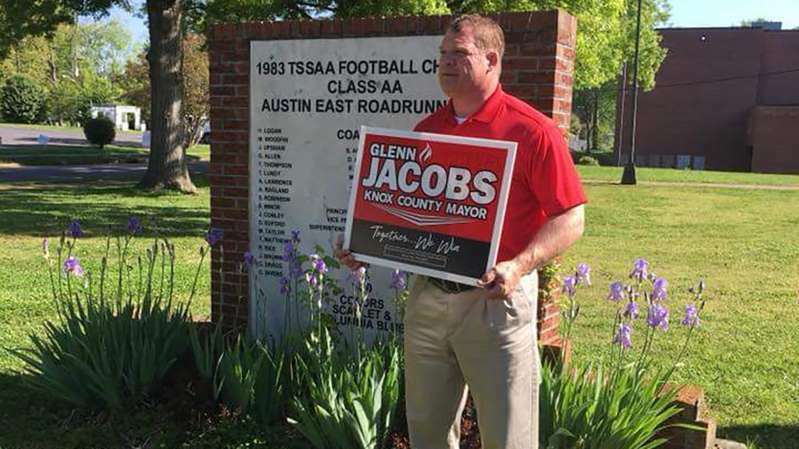 Jacobs, 51, was leading Brad Anders by 17 votes in the bid to represent the Republican Party in the race for Knox County mayor, Knox News reported. Jacobs was leading 14,633 to 14,616 with 100 percent of the precincts reporting.